Blockchain in financial solutions is the most popular implementation that the technology has experienced so far. Security, cost and efficiency of transaction are some of the areas that blockchain solutions have focused on improving in the financial solutions and remittances industry. At the global level, the financial ecosystem is approaching a cashless era, it is imminent that various innovations emerge, proffering solutions for effective and efficient transactions. The rapid change that is occuring in this sector a number of innovations springing up in different areas. Mobile wallet options like Apple Pay, Google Pay and Samsung Wallet are all examples of innovations already in existence in line with this revolution. A mobile payment volume of $503 Billion is expected to be reached by the year 2020, while the number of mobile payment users is expected to reach 150 million within the same period. According to VISA, by 2020 50% of all payments in Europe will be done through a phone device. Besides mobile payments, the more traditional interbank transactions also post tremendous figures that further emphasizes the trend in present day financial solutions industry. For instance, Fedwire, the organization that handles large-scale wholesale transfers, processed an average daily volume of over $3.1 Million transactions in January 2018. This is a huge figure that is similar to the volume posted by several other mainstream payment gateways. However, these processes are haunted by certain system inherent limitations especially in customer-merchant payment transactions. The consumer-merchants payments industry is estimated at 2 Trillion USD annually and it is monopolized by Visa and MasterCard that hasn’t innovated it for more than 40 years. The opportunity to disrupt such industry is staggering as it is both very lucrative and ripe for disruption. Nowadays, each Consumer to Merchants transaction goes through 6-8 middlemen, each collecting a fee and each being a point of possible failure. Due to that, merchants lose profit and suffer from limited cash flow. Although some of these issues are being tackled by even more recent products, especially those that are built on top of the blockchain, the existing technical issues within them are slowing down adoption. For instance, the unpredictable confirmation timeframe for Bitcoin transactions and the unstable fees have been subjects of criticism for the cryptocurrency. In other to fix these inconsistencies and solve the technical issues, COTI tech company is introducing a base protocol called Trustchain. Trustchain is developed on DAG data structure and is able to process 10,000 Transactions-per-second. It also includes a novel behavioral trust scoring algorithm and a decentralized POS method to resolve disputes between network parties. 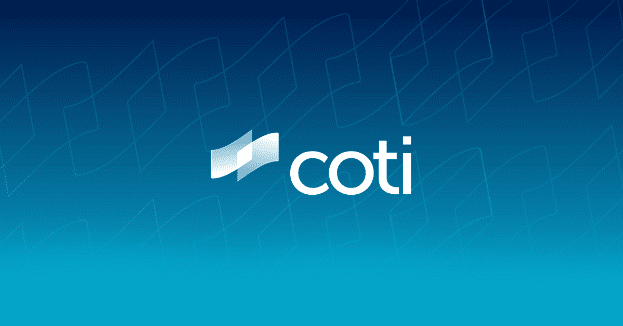 COTI’s team includes top management and R&D talent, veterans of the financial industry and Blockchain experts. Our team of advisors and backers includes Greg Kidd (early investor in Twitter, Square, Coinbase, Ripple), Mr. Steven Heilbron (former CEO of Investec bank), Dr. Matthew Mcbrady (former CIO of Blackrock), founders of Processing.com and other reputable individuals. Having completed a functional partnership with Processing.com, COTI launches into the market with an established base that grants access to 10,000 merchants and launching a full payments eco-system consisted of a Coin, a wallet, a debit card and an exchange. There is no longer any doubt that blockchain technology has the potential to fully revolutionize the global payment systems. The existing limitations that have already been pointed out above are hence taken care of through COTI’s implementation. Having forecasted a significant hike in the near future for mainstream payment processes, it is apparent that making blockchain systems more adoptable will further enhance the capacities of services providers. This will certainly lead to an even bigger market within the ecosystem.